Swedish archaeologists have uncovered a site that sheds some light on how the Roman Empire may have started to crumble after discovering evidence of a massacre that took place some 1,500 years ago – completely with Roman jewellery and gold denarii. 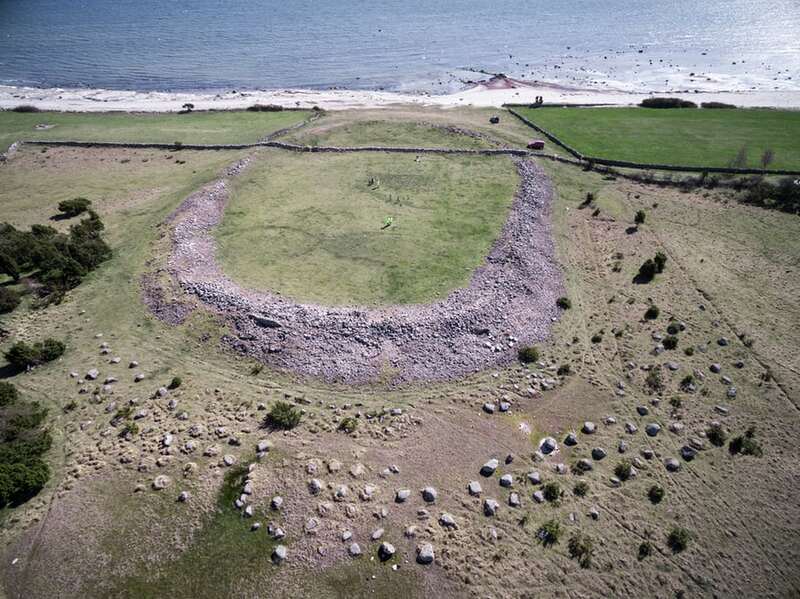 A team of archaelogists have been working at a site at Sandby Borg on the shore of Öland island, off the south-east coast of Sweden, for some three seasons. Announcing their findings in the journal Antiquity, they have still only excavated around 10 per cent of the site. After research and initial digs, the team built an image of Sandby Borg as a mid-5th century prosperous village, safely nestled within the walls of a ring fort. 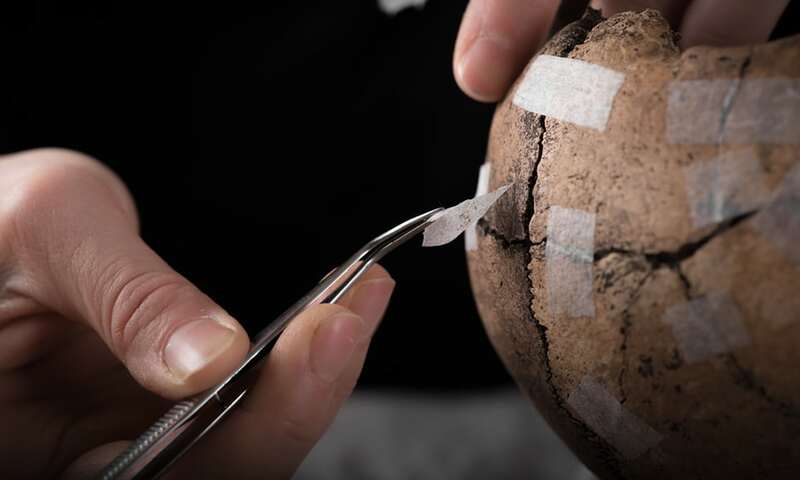 However, they also discovered evidence of a catastrophic end to life in the village – “a single event that made time stop – like a shipwreck but on land”. In one house they found the skull of an old man, smashed so the splinters of bone fell into his open hearth. Another held a teenage boy curled up on the floor, possibly tripped over after trying to flee. So remote was the island that, after the attack, nobody came to bury the dead, take their possessions or make off with the livestock there. Instead, the people and buildings remained and rotted where they fell. However, the team also found scattered among the remains treasures such as Roman gold coins, silver gilt jewellry and hair ornaments, glass beads and cowrie shells – only found in the Mediterranean. They also already new that Öland, a low island off the Swedish coast in the Baltic Sea, was a wealthy settlement during the time of the Roman Empire. The coins and valuable trinkets – probably imported from Rome – could have represented wages earned by fighting as mercenaries. Weapons were conspicuously absent from the site, maybe because they were taken as trophies or destroyed as part of a ritual offering. Ludwig Papmehl-Dufay, an archaeologist who joined the team from a local museum, says that other oddities suggest that the site was a bit different. Four teeth stuffed into the skull of one man could represent a “final insult”, he says, in bid to curse its owner from reaching the underworld. 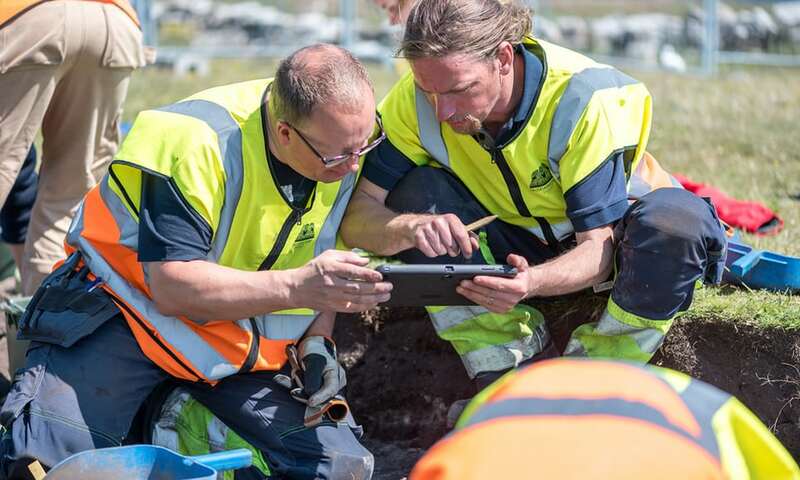 Archaeologists working at the massacre site of Sandby Borg. He added that he and his team had encountered no written or oral records of the massacre or its survivors, though there were persistent stories that it was locally regarded as a dangerous place. Sandby Borg’s downfall probably coincided with the fall of the Western Roman Empire in the 5th century, though the settlement and ring fort are the only ones to come to such a gruesome end in the area. The fall of the Empire would have seen local tribes and small fiefdoms vie for power, raiding or just killing richer neighbours.